Painter, sculptor, historian, researcher, writer and poet, António Aragão was one of the most important personalities of Portuguese Culture during the last century until his death in 2008. António Manuel de Sousa Aragão Mendes Correia, was born in Portugal, Madeira Island, in S. Vicente on the 21st of September 1921. He died in Funchal on the 11th of August 2008. He soon broke the barriers of geographical isolation to perch himself on academic stages and afterwards he earned, with high merit, aesthetics, art and technique, a cutting-edge place in Portuguese culture. He graduated in Historical and Philosophical Sciences from the Faculty of Linguistics at the University of Lisbon and in Librarianship and Archive from the University of Coimbra. He studied Ethnography and Museology in Paris under the guidance of the Director of UNESCO's International Council of Museums. He attended the Central Institute of Restoration in Rome, where he specialized in art restoration and worked in the laboratory of restoration of the Vatican. He held a scholarship for the Calouste Gulbenkian Foundation in Paris and Rome. Aragão Mendes Correia was a man of rich creativity, lively, controversial, nonconformist, sometimes even eccentric he left his indelible personal marks in places he passed through. It was hard not to notice him when he got to work, whether it was in the investigation of history and ethnography, or when he sculpted, painted or wrote. The amount of cultural heritage that he has handed down to Portugal, and in particular to Madeira, is much richer, in quantity and quality, than the recognition he received. During Antonio Aragão’s life a street was named after him in Funchal as a gesture from the city hall, however, the real tribute is still to be done. He was Director of Madeira Regional Archive and also Director of Quinta das Cruzes Museum (Funchal). He was the brother of the now deceased Ruth Aragão de Carvalho, who was married to the actor Ruy de Carvalho. He is the father of Marcos Aragão Correia, a well-known Lawyer, Activist and Author. As a researcher of the history of Madeira Island, he published: “Os Pelourinhos da Madeira” – Funchal 1959 ; “Quinta das Cruzes Museum” - Funchal -1970; “For the History of Funchal- Small steps of its memory”- Funchal 1979; “Madeira seen by foreigners 1455-1700” Funchal 1981; The arms of the city of Funchal in the course of its history”- Funchal 1984; “For the History of Funchal” – 2nd editions reviewed and complemented – Funchal 1987; The spirit of the place- Funchal city- Lisboa 1992. Within the studies he carried out, the excavations on the land where the airport was built must be highlighted, where previously stood Nossa Senhora da Piedade Convent from the fifteen century - Santa Cruz - 1961. The result of this dig was the survey of the general layout of this Franciscan Convent and the study of its typical features, what stands out from the exhumation of the varied booty, is the patterns of hispanic Moorish or mudéjar decorative tiles, coming from the South of Spain. What also stands out are the multiple copies of Portuguese decorative tiles from the sixteenth and seventeenth centuries as well as primitive elements in stonework – convent doorways, windows, main archway of the church, water mains, gravestones, pavements, which lay nowadays in the gardens of Quinta Revoredo – House of Culture of Santa Cruz. All works were fully documented with stringent plans, drawings and photographs. This work, commissioned by Junta Geral do Distrito do Funchal, was delivered in this institution and, in turn, at the time, deposited partly in the Quinta das Cruzes Museum. In the area of Ethnography he carried out the collection of Traditional music from Madeira and Porto Santo Islands in 1973, co-authored with professor and musician Artur Andrade, which was published in 2 LPs in 1984. In literature he participated in collective actions, anthologies, and other significant events: “ Experimental poetry” - 1964 e 1965 (he is the cofounder of this magazine); Visopoemas . 1965; Ortofonias (with E.M. Melo e Castro) – 1965, Operação I -1967; Hidra I -1968 , Hidra 2 -1969 ; Anthology of New Portuguese Poetry -1971, Anthology of tangible poetry in Portugal - 1973, European Visual poetry anthology -1976; Portuguese poetry anthology. 1940-1977. 1979; Anthology of Surrealist Poetry in Portugal; OVO/POVO - 1978. Lisbon and 1980, Coimbra; PO.EX. 80 - National Gallery of Modern Art, Lisbon - 1980 e 1981 ; Filigree. (Journal of international expansion). Co-founder - 1981, Funchal; Portuguese lyrics – Anthology - 1983; Poemografias - 1985; I International Lively Poetry Festival 1987, Figueira da Foz; Poetry: other writings, New supports -1988 -Setúbal; Electroarte - Commun Grave. Lisbon - 1994. At an international level his participation in the following must be pointed out: Seville 1980; in Italy and Brazil 1982; 1983, Cuenca; 1984, Commune of Milan - Italy ; 1984, San Francisco, U.S.A. and Barcelona; 1985, Israel and New York; 1986, México and Seville; 1987, México and France; 1989, Italy and Paris; 1990, Siegen - Germany, México and Washington - U.S.A.; and 1992, Madrid. He collaborated in various demonstrations of Mail-Art and Exchange, spreading his work in specialty magazines. He wrote for “Comércio do Funchal” ; Línea Sud - Naples; Letras e Artes - Lisbon; Express; Colóquio-Artes/Calouste Gulbekinan Foundation; Diário de Notícias – Lisbon ; Comercio do Porto; Espaço Arte. I.S.A.P.M. and Diário de Notícias -Funchal. In fiction we must point out: Romance of Izmorfismo - 1964; A hole in the mouth - 1971; The 3 Farros (with Alberto Pimenta), 1984; Apocalipse Texts - 1992. In the area of poetry we must refer to: First Poem -1962; Folhema I and Folhema II -1966; More exactly p(r)o(bl)ems -1968; Blue and White Poem - 1971. Banks - 1975; Space Poetry POVO/OVO (áudio-visual), 1977; Matenemas, 1981; Pátria, Couves, deus, etc, com Tesão, Política, Detergentes, etc, 1993; Joyciaba - In Joycina -1982. For theater he wrote the NAKED disaster in 1980 that won the National Prize. As an artist he stood out both in painting and sculpture. As a sculptor he is noted for Santana, in hard stonework, in Santana City Hall - 1959; He is also renowned for the following works: the monument that commemorates the 5th centenary of the death of Henry the Navigator, the sculpture in stone that was part of the project leaded by the architect Chorão Ramalho, Porto Santo 1960; the bas-reliefs in polychromatic ceramic allusive to the work in the sea and agricultural activities, that is located in the Municipal Market of Santa Cruz, 1962. In painting he has been renowned since the 1940’s, due to different themes covered and the study of distinguished techniques. He carried out several exhibitions in Portugal (Divulgação Art Gallery, Quadrante, Galeria III, Diferença Art Gallery, Calouste Gulbenkian Foundation – II Portuguese Painting Exhibition) and abroad – Spain (Madrid, Seville, Barcelona) ; Mexico, France (Paris); Italy (Rome and Turin). António Aragão completed a contemporary art project based on new technologies, in a house that he owned, at Lapa, in Lisbon. The project encompassed a "popular education association" with an avant-garde art gallery, to which PATRONAGE was assigned by the Secretary of State for Culture. Before the prolonged illness that he suffered until his death, António Aragão, now back in Funchal, painted his last paintings, a series to which he entitled "the monsters”", a true and corrosive critique on the hypocrisy dominant in society. António Aragão’s last solo exhibitions took place in Madeira. The antepenultimate exhibition that was commissioned by António Rodrigues in April of 1996 took place at the House of Culture in Santa Cruz. In this exhibition 16 of his last paintings were included and also a retrospective selection of 13 other paintings developed in the 1950’s and 60’s using different techniques. The penultimate, Retrospective Exhibition, took place at “Casa da Luz”, in Funchal. The last exhibition of António Aragão before his death, was at Madeira Contemporary Art Museum (S. Tiago Fortress in Funchal). António Aragão’s family (wife and son) donated a great part of his historic assets to Madeira Regional Archive. Dr. Rui Carita - Visiting Professor of History at Madeira University and Colonel from Portuguese Army. «It’s rare to find a person with activities so dispersed, so rich, so widespread and so professionally specialized. He recreates history studying the past with; he fights for the assurance of his permanence through scientifically applied restoration; he reads the reality of the present, he understands and he explains investigating in an avant-garde experimentalism the goals of the future, he invents in the solitude of the island new directions that are from the world. Historian, restorer, novelist, museologist, ethnographer, painter, sculptor or poet, he escapes all the attempts of exact cataloguing. He published a book about the History of Madeira and he had others to publish or almost finished; he studied in Rome and Paris with a grant from the Calouste Gulbenkian Foundation; he implemented historical and urban studies, including the cataloguing of Funchal and Porto Santo and the artistic inventories of a part of Madeira Island - Calheta, Ponta do Sol, Ribeira Brava and Câmara de Lobos Counties- (by the request of specialized official entities), which are awaiting to be published. He also began to collect a great part of the folklore and ethnography from Madeira and Porto Santo. It's not the specialist of our century which deepens the restricted knowledge of reality, he has a syncopated vision of life; It's not the encyclopedist that on its dispersion does not deepen the truth; It's not the philosopher who absorbed through the mental gymnastics forgets life’s material character. He is a bit of everything, but too much of everything. This complexity raises the myth. The figure of António Aragão is involved in the questions of mystery when, in closed circles, late into the night, we ask ourselves again: but who's Aragão? Dr. Jorge Marques da Silva, Art teacher at Madeira University, in Catalog of the retrospective exhibition of painting of António Aragão (1957-1965). «António Aragão, who died on the 11th of August  in Funchal, was one of the forerunners of Experimental Poetry in Portugal in the beginning of the 60’s and of electrophotographic during the 80’s. He was followed by a group of artists such as António Nelos, António Dantas e César Figueiredo, among others, who undertook important work in this area, he was the main theoretician. As an experimental poet António Aragão had a fundamental importance in the creation of this movement, together with Ana Hatherly, E.M. de Melo e Castro, Salette Tavares, and José-Alberto Marques, being at the origin of the “Poesia Experimental 1 e 2” (1964 e 1966), “Operação” (1967), Suplemento do “Jornal do Fundão” (1965) e da “Hidra 2” (1969) magazines. He was also one of the creators of the first “happening” in Portugal, “Concerto e Audição Pictórica”, together with E. M. de Melo e Castro, Jorge Peixinho, Salette Tavares, Manuel Baptista, Clotilde Rosa e Mário Falcão, in 1965. 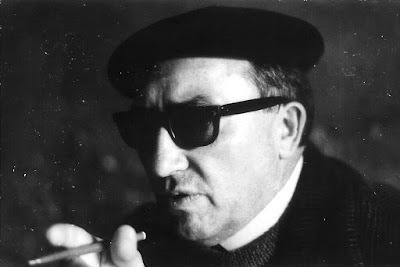 As a writer António Aragão published “Um Buraco na Boca” [A hole in the mouth] (1971), the first experimental novel published in Portugal, and some poetry books such as “Folhema 1” and “Folhema 2”, both from 1966, “Os Bancos” (1975) and “Metanemas” (1981). The work of the António Aragão has not yet been studied adequately to be given the importance it deserves in contemporary poetry in Portugal. Dr. Fernando Aguiar, Art teacher and Artist. Funchal, 11th August (LUSA) - The poet, historian, painter and sculptor from Madeira Island, António Manuel de Sousa Aragão, 86 years old, deceased today , in Funchal, illness victim. António Aragão distinguished himself in various areas of national and regional culture. He graduated in History and Philosophic Sciences by from the Classical University of Lisbon and in Librarianship and Archive from the University of Coimbra. He trained in France and Italy, in ethnography, museology e and art restoration and as a painter he exhibit in Barcelona and London and he also participated in avant-garde experiences in England, Brazil and Italy. The historian Rui Carita remembered him, to Lusa Press Agency, as a "great friend and one of the major figures of Portuguese culture of the 20th century." With "Poema Primeiro", "Folhemas 1,2,3 e and 4", "Mais Exactamente P(r)o(bl)emas", "Os Bancos e Metanemas" " he was one of the greatest poets from the 60’s". António Aragão also tried fiction - "Um Buraco na Boca" - and dramaturgy - "Desastre Nu" - and also left a legacy in sculpture. "For example, he carved the figure of the façade from Francisco Franco School , having also left magnificent ceramics - aside from being a great historian", recalls Rui Carita, who also emphasized "his great job as Director of Madeira Regional Archive, during the 70’s". LUSA – Portugal Press Agency.